No. When Poland was given the Latin alphabet, it was very firmly inside the Catholic sphere, and very far outside the Orthodox sphere of influence, and had been for several centuries. Polish is written in the Latin alphabet because it was first written by Catholic monks and clerics, and then only for very rare, and very expensive, ceremonial religious texts, like psalters. That happened sometime in the 1300s. There was no "Roman Catholicism" until 90 years after Poland was founded. And Poland was founded in the darkest days of the Dark Ages, when Rome was a rat-infested backwater $hithole and the power of the papacy had reached its all-time lowest point under Pope John XII, the youngest pope of all time. He was still a teenager when he became pope, and lacked any interest in being pope at all, preferring living the high life and getting laid with all and sundry. Otto I was essentially forced to seize control of the the church in the lands under his control, eventually attacking Rome and forcing Pope John to flee. replacing him with his own man. The decision to adopt Christianity in Poland was undoubtedly due to the influence of Mieszko I's devoutly Christian Czech wife. The idea was to start an independent state that would rely for it's legitimacy not on the Holy Roman Emperor, but on Rome itself, as Otto I had done himself only four years before. The papacy may have been at it's real-world nadir, but symbolically, it was still quite alive in the imagination of the people of the West. Quite an interesting time in history. Yes, they turned into Poles later. The first translation of the gospel into Polish from Church Slavonic was in 2014. Probably not. Such a tribe may have never existed. The name could have been placed on maps later on and secondary to the already existing name of the Polish state. @DominicB, you're correct. Poland though remained far more Western in her Christianity than either Greece or Russia, but for a variety of other reasons. Or it was the other way round. First, Mieszko had coined a plan to become Christian and then as part of pursuing his plan he decided to take Dobrava from Czechia for wife. 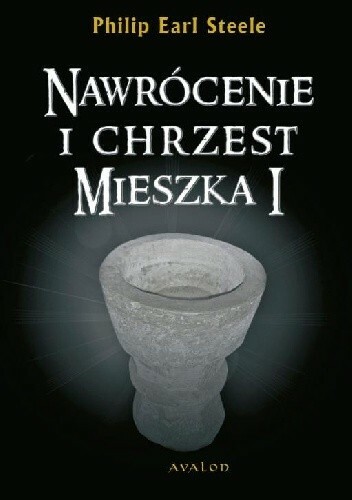 The possible motives behind Mieszko's decision are best (in my view) explained in the book "Nawrócenie i chrzest Mieszka I" written in Polish by Philip Earl Steele, an American historian from Ohio. The Christianisation of Poland (Polish: chrystianizacja Polski) refers to the introduction and subsequent spread of Christianity in Poland. 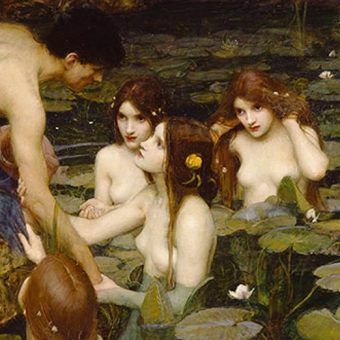 The impetus to the process was the Baptism of Poland (Polish: chrzest Polski), the personal baptism of Mieszko I, the first ruler of the future Polish state, and much of his court. The ceremony took place on the Holy Saturday of 14 April 966, although the exact location is still disputed by historians, with the cities of Poznań and Gniezno being the most likely sites. Mieszko's wife, Dobrawa of Bohemia, is often credited as a major influence on Mieszko's decision to accept Christianity. But ya theres a good chance he did it for political reasons - including marriage which was seen as a political military type of union back in those times. A member of one royal family would marry the member of another thus solidifying an alliance. Maybe. In any case, the motive was to do an end run around Otto I to avoid invasion and annexation (and forced conversion). That's why I wrote 'probably'. Still Gniezno, inhabited by a tribe called Polanie or not, was not part of the Kingdom of Great Moravia. As for Mieszko and Dobrawa, let's face it. Marriages served the country's politics back then (and even centuries later) so I doubt he adopted Christianity to marry her. Actually it's interesting how Polish Christianity adapted quite a few Slavic customs. Adopting Christianity was definitely a process but one thing is certain - it has always been mainly Rome centred and that's influenced the alphabet. well in 1226 Konrad Mazowiecki thought it stull was a good idea to invite the Teutonic Knights to spread Christianity here. Still there were enough pagans there to claim that. St Wojciech was killed in the 10th century. The Teutonic Knights were invited in the 13th century and as far as I know their 'christianisation' was far from peaceful. They did attack Greater Poland, too. Agreed. He can't have known. It's part of our history and identity now. In fact, it helped Christianisation of Poland and reinforced our national identity, too - at least in my opinion. Where did you get the idea that Gniezno was ever part of the Great Moravia? The latter ceased to exist in 907, the former was founded around 940. The concepts behind adopting Christianity by Poland's Mieszko I are being somewhat disputed now. It is said that one of his principal motives for marrying Dobrava was to break the alliance between the Czechs and the Veleti which endangered the very existence of his state. Mieszko's army was defeated by the Veleti in 963 in which war they even killed his brother. After 966 he fought them successfully with the help of the Czechs. I never did. Read posts #129-135. Vesko claimed Poles used the cyrillic during the times of the Kingdom of Great Moravia. That was more present day Slovakia/Czechy/parts of Germany/Hungary etc... not Poland except for a small part of Silesia which would've been occupied by the tribe known as Slezanie. Idk how some posters got the idea of Moravia as ancient Poland... The only Moravian tribe that would've existed around 966 would be a small portion of southern Poland. Some info on pre-966 Polish lands, tribes, languages, etc. en.wikipedia.org/wiki/Polish_tribes would include a small section of Moravians as one of the many tribes which were turned into a confederacy by the Piasts, including East German Slavic tribes - Oborites - (polabian slavs) from which several towns in Poland are named - Oborniki around Poznan, Oborniki Slaskie near Wroclaw, etc. en.wikipedia.org/wiki/Polans_(western) - In the 9th century the Polans united several West Slavic groups to the north of Great Moravia. The union led by the Piast dynasty developed into the Kingdom of Poland, whose name derives from that of the Polans. Most of the info that we have from pre-966 Poland comes from Charlemagne's conquering of the Veleti tribes and before that some documents from Roman historians and geographers like Ptolemy. Still Gniezno, inhabited by a tribe called Polanie or not. Gniezno was always thought to be, according to the legends and history of Mieszko I, to be the founding place of Poland. The Eastern Polans were an eastern Slavic tribe that was completely unrelated to the western Slavic Polans who founded Poland, and had essentially no meaningful contact with them at the time in question. The similarity of their names is a coincidence. Yes, but were later incorporated into a Polish confederacy under the Piasts. Oh, no, they weren't. Where did you hear that? The similarity of their names is a coincidence. That is a guess to be honest. The Eastern Polans had long ceased existing as a separate tribe by the time Poland got control of the territory they had occupied, and had long been absorbed into the Rus. Vesko claimed Poles used the cyrillic during the times of the Kingdom of Great Moravia. Most probably he confounded the cyrillitic with the glagolitic script, the oldest known Slavic alphabet which was created in the 9th century by Saint Cyril, a Byzantine monk from Sołuń (Thessaloniki in Greece). He and his brother Saint Methodius were sent by the Byzantine emperor to Great Moravia in 863 where they invented Glagolitic (glagolica - Ⰳⰾⰰⰳⱁⰾⰹⱌⰰ) as the Slavic language could not be easily written using either the Greek or Latin alphabets. As for Mieszko and Dobrawa,[...] I doubt he adopted Christianity to marry her. I doubt it, too. As the chronicler Gallus Anonymous says: "following his custom, he enjoyed his seven wifes" (wedle swego zwyczaju siedmiu żon zażywał) while being pagan, so was there really any need for another one? This is a very brave hypothesis indeed and even the more brave because you have misspelled their name: Obotrites/Obodrites (Latin) or Abotrites/Abodrites (German) or Obodrzyce in Polish. had long been absorbed into the Rus. Weren't they north of the rus though in the north east/eastern part of modern day PL? Which did not survive in Moravia more than a few years, and was used only by a handful of monks in the Moravian stronghold, and not anywhere in Poland. And which was not used to write the nascent Czech language, never mind any of the tribal dialects that would later become Polish.